A tap provides instant access to water, and a means of regulating the flow– but not all taps are created equally. They come in a variety of styles and configurations, each of which offers something a little different, both practically and aesthetically. What’s more, older taps eventually break down. Ideally you’ll want to replace yours before that happens. However before you can do that, you’ll need to make sure you have all the right tools. Basin wrench – this is basically a long, thin spanner whose head sprouts from the side at a right angle – allowing you to reach up inside the interior of your sink and remove the holding nuts. Cranked spanner – a cranked spanner comes with a series of tiny flat edges along the interior of the hole, and is used to remove the nuts on the top of the basin which hold the taps in place. Mallet – if your taps are held into place with putty, you’ll need to tap them loose. Do this with a wooden mallet, as a metal one might inflict damage. Taps – of course, you’ll also need replacement taps. These will come with washers and mounting nuts to replace the old ones. Are taps easy to replace? Shop our range of Reginox Kitchen Taps! Yes – changing a tap is relatively straightforward. First, check whether your taps have an isolating valve that’ll allow you to remove the tap without water spraying everywhere. 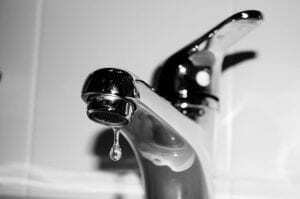 If not, you’ll need to turn off the water supply, and turn on your taps until the water in the system drains away. Next, remove the holding nuts beneath the basin, and the back nuts on the top, then lift out the taps. You might need to tap them from below with a mallet in order to work them loose. Lastly, insert your new taps and attach them to the pipework. If you’d prefer, you can attach them via flexible connectors. Be sure to inspect the taps for damage and debris, and give them a good clean while you’re there. Finally, turn the water supply back on and check that the taps are working. 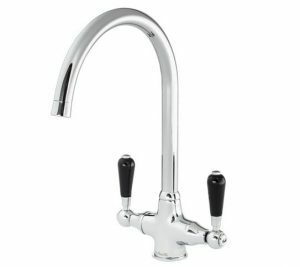 Check out our expansive range of taps from top brands. 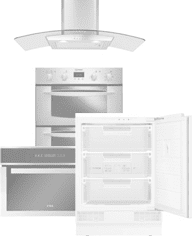 With free delivery, you can save money when you buy online today at Ship It Appliances! Which way should taps turn? When your taps are installed, as with every other valve in the world, they should open by turning them anti-clockwise. Remember: righty tighty; lefty loosey. And the hot tap goes on the left!